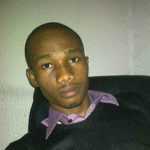 Ifeanyi Nwaokorie is a content writer with over six years’ writing experience. For the past six years, he has written articles that cut across cryptocurrency, ICO White Papers, Internet of Things, Artificial Intelligence, home improvement, business, lifestyle, etc. With a degree in Information Technology, he focuses primarily on tech content writing, thus using his wealth of writing experience to deliver engaging, relatable articles to our teeming readers around the world. When he writes, Ifeayni doesn’t just aim to keep my readers’ eyes riveted to their screens, but he also ensures they take away something from the article. Finally, he firmly believes that you will have a great time reading his articles. And as you enjoy perusing his articles, please remember to share them with your loved ones and bookmark our page.